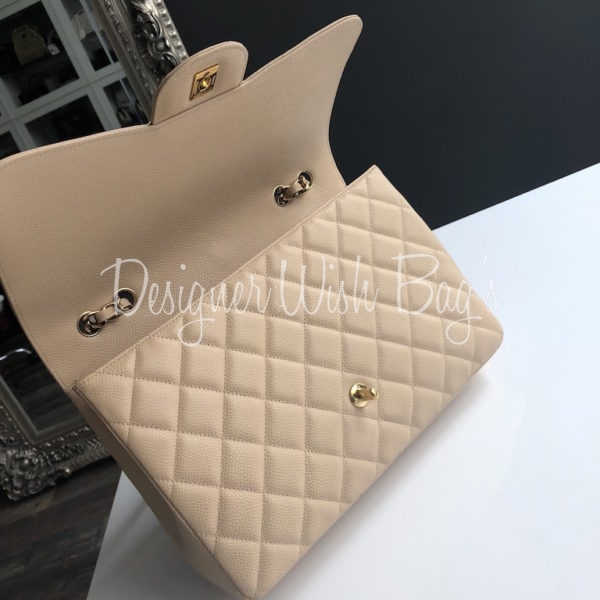 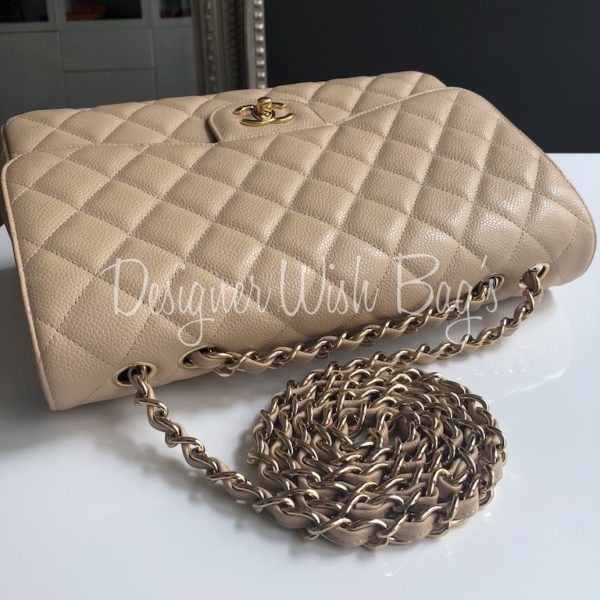 Crafted in beige caviar leather with gold hardware. 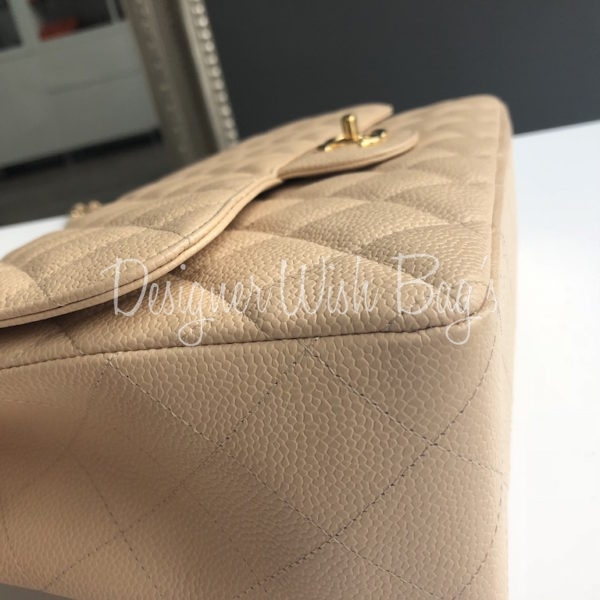 This gorgeous single flap is in Mint condition! 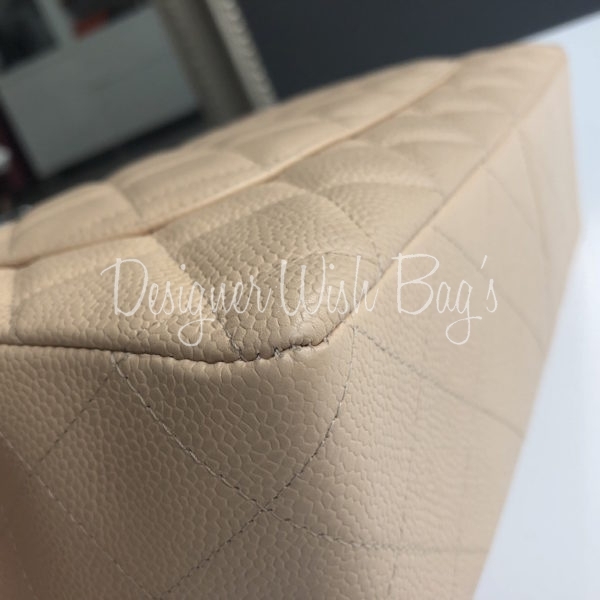 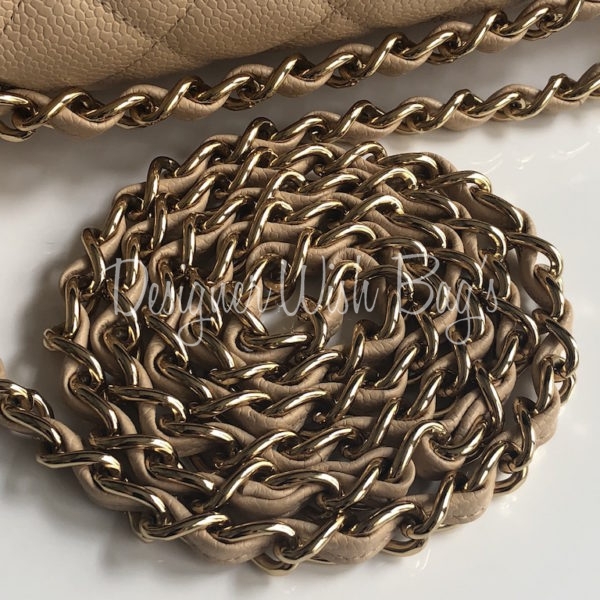 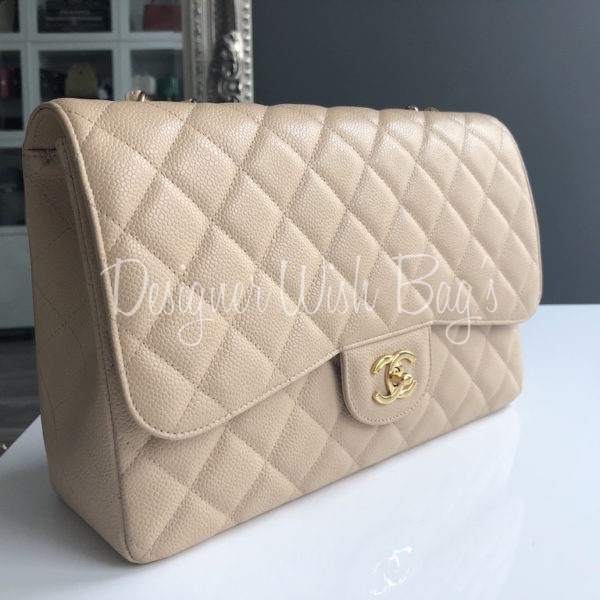 Shows no signs of wear and keeps perfect its original shape, corners are perfect and gold hardware is shiny as new! 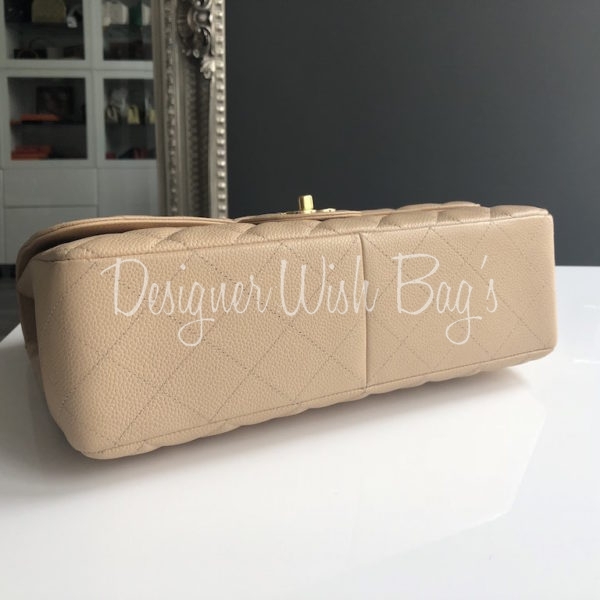 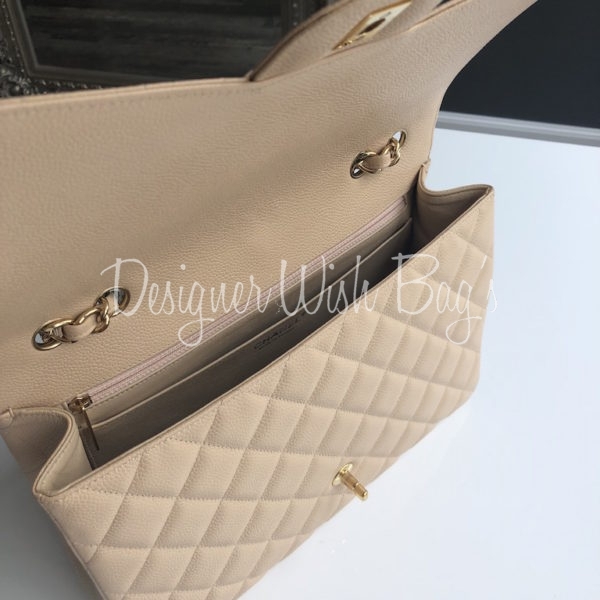 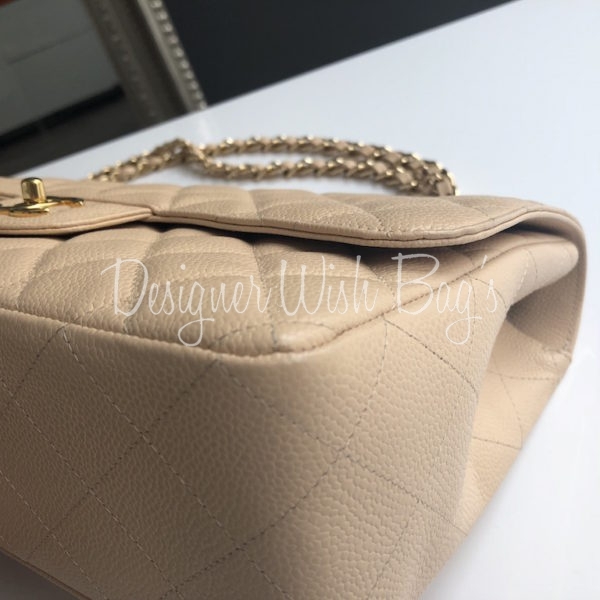 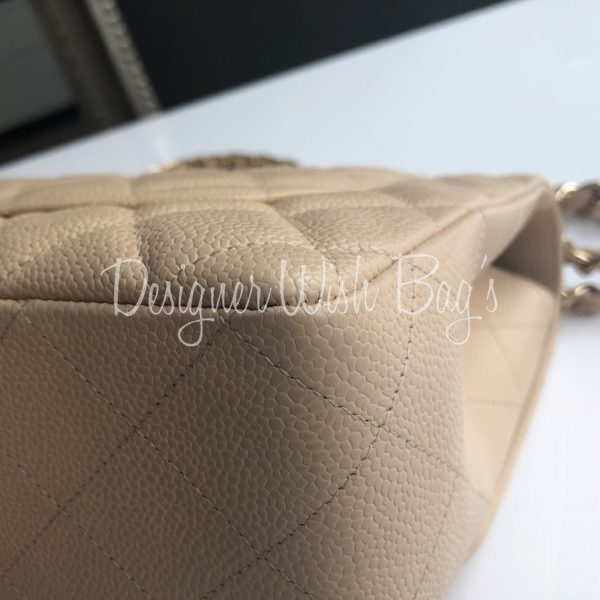 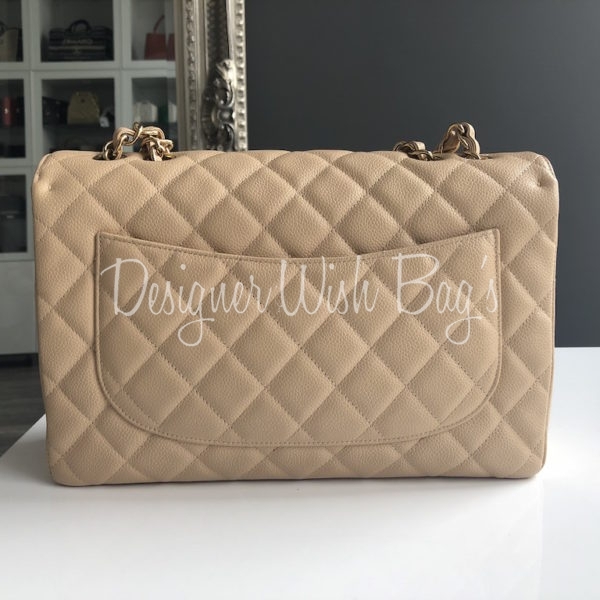 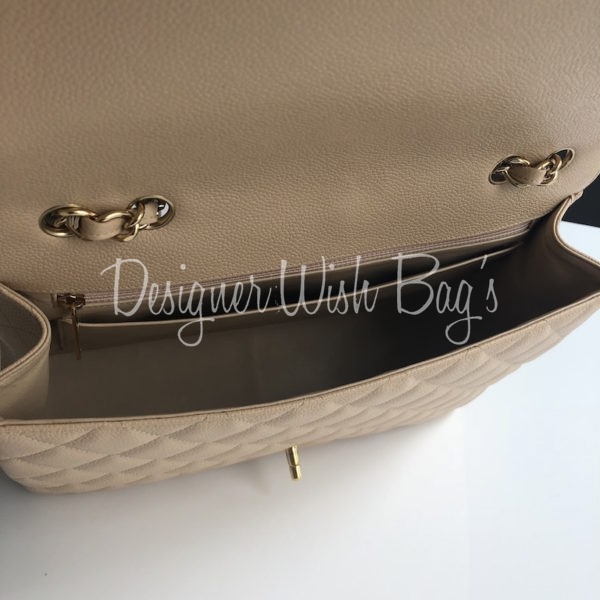 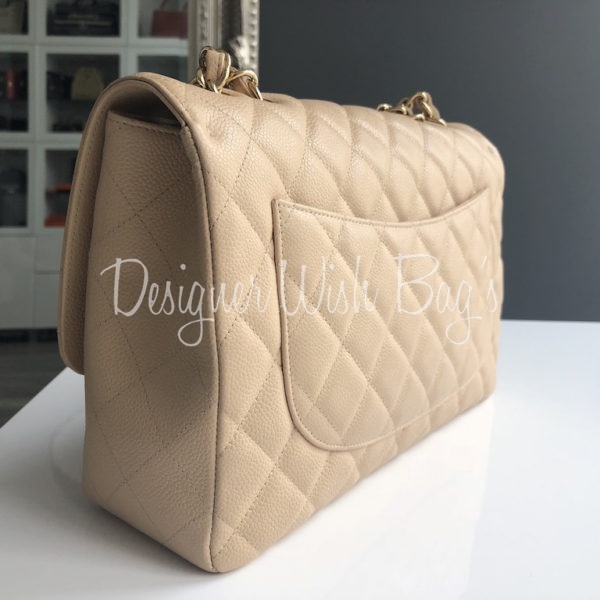 Stunning and rare bag in exceptional condition! 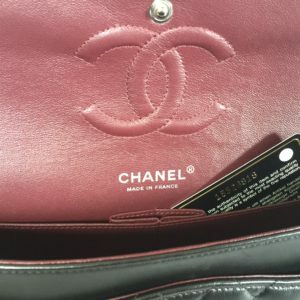 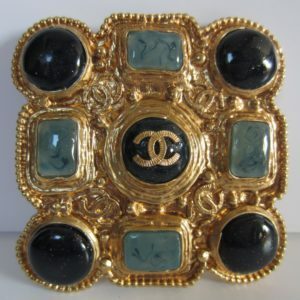 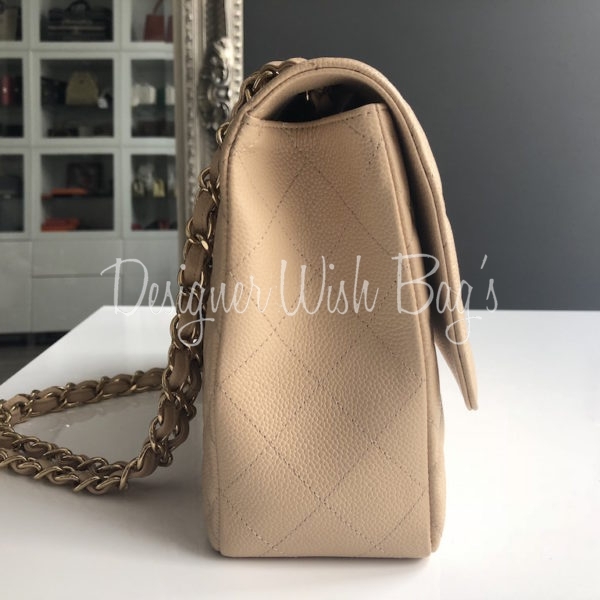 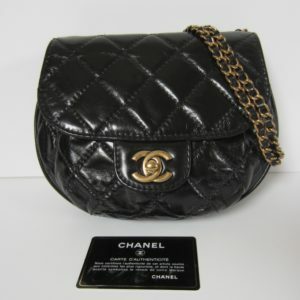 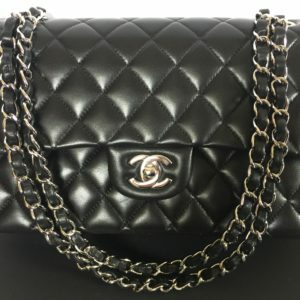 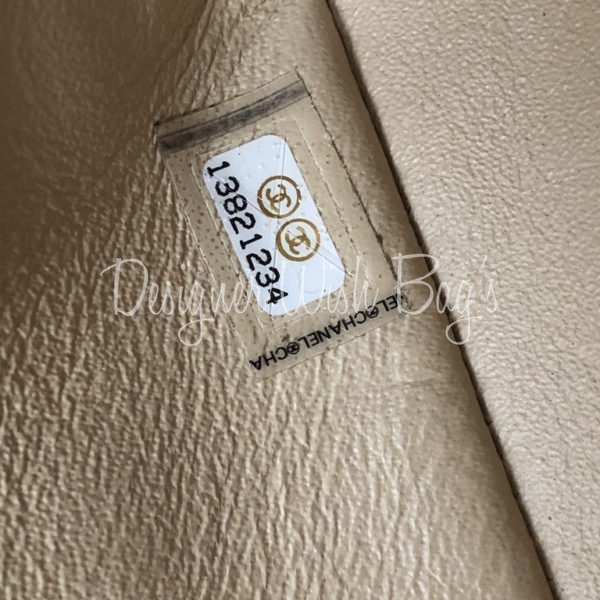 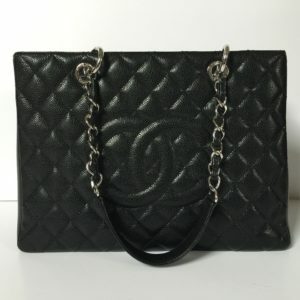 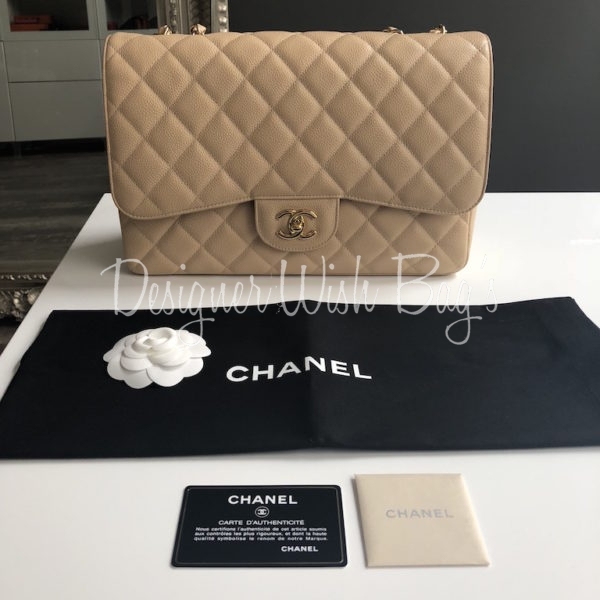 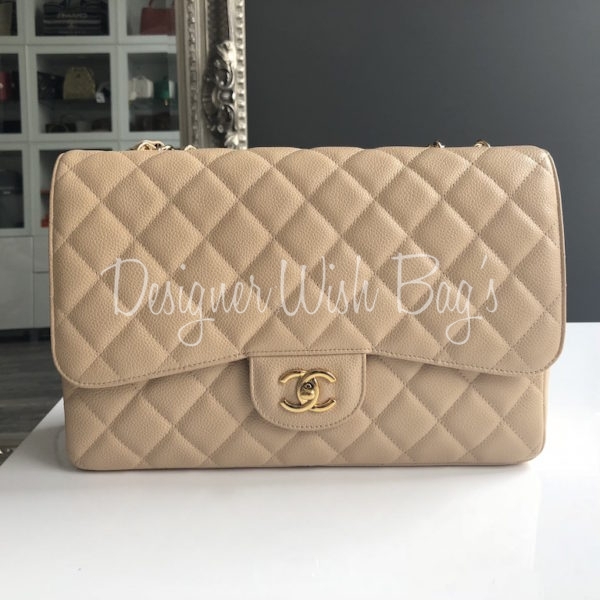 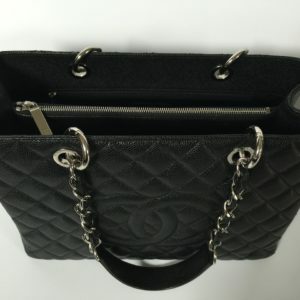 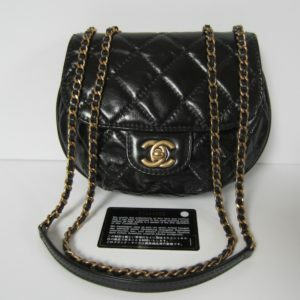 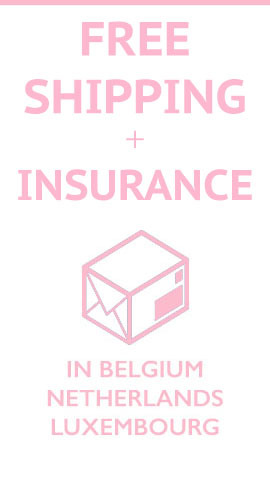 Will be delivered with Chanel dust bag, booklet and authenticity card.